Photographer: Craig McDean. Model(s): Julia Nobis. Source: Interview Magazine. Stylist: Karl Templer. Makeup: Mark Carrasquillo. Hair: Eugene Souleiman. 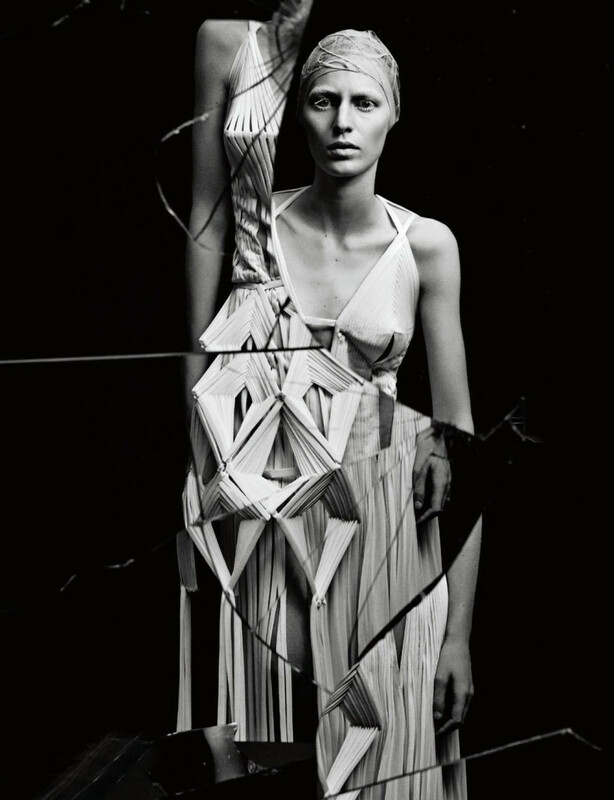 Julia Nobis showcases this season’s most daring designs in ‘Broken Down’ shot by Craig McDean for Interview Magazine, April 2015. 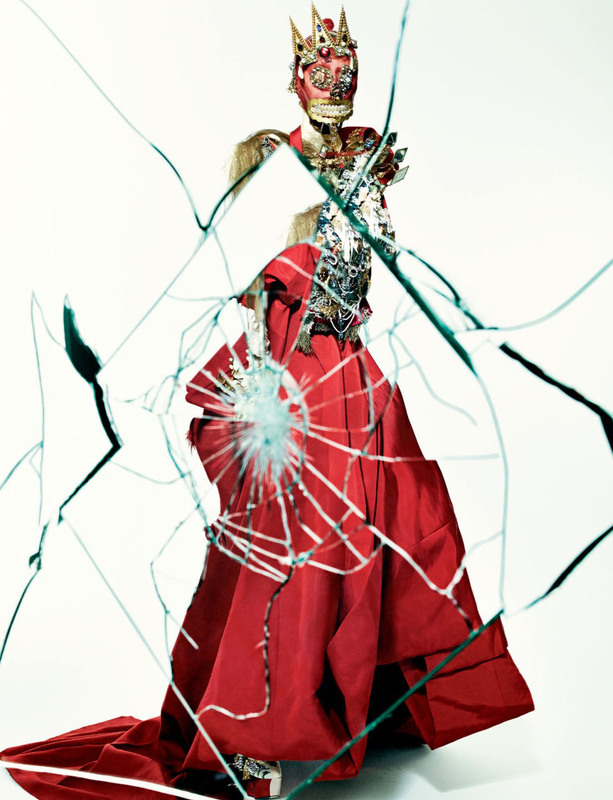 The heat of haute couture burns in this exquisite editorial designed to defy. Stylist, Karl Templer, captures our imagination with fashions that explore the art of avant-garde. Behind broken glass looks explode by Alexander McQueen, Chanel HC, Dior HC, Giambattista Valli HC & Maison Margiela Artisanal. To break through the walls of redundancy and find hope, that is the call of Master McDean. ‘What was any art but a mould in which to imprison for a moment the shining elusive element which is life itself, life hurrying past us and running away, too strong to stop, too sweet to lose.’ Beauty on blast, (Makeup Artist) Mark Carrasquillo mimics the majesty of the modern woman. Ethereal white sweeps over the features, with an edgy application that gives the face a ghostly appeal. Hairstylist, Eugene Souleiman, creates a triumph of spirit with evocative pieces that pierce the concept of average. The magic of millinery erupts with creative crowns and feathered head-dresses. Shattered in salvation each shot celebrates the female spirit.